Diabetes mellitus type 1, also known as type 1 diabetes, or T1DM (formerly known as insulin-dependent diabetes or juvenile diabetes) is a condition in which the body does not produce insulin, resulting in high levels of sugar in the bloodstream. Whereas type 2 diabetes is typically diagnosed in middle age and treated via diet, oral medication and/or insulin therapy, type 1 diabetes tends to be diagnosed earlier in life, and people with type 1 diabetes require insulin therapy for survival. It is significantly less common than type 2 diabetes, accounting for 5 percent of all diabetes diagnoses. This list of notable people with diabetes mellitus type 1 includes writers, artists, athletes, entertainers, and others who have been documented as having type 1 diabetes. ^ a b "Causes of Diabetes". NIDDK. August 2014. Archived from the original on 10 August 2016. Retrieved 31 July 2016. ^ "Types of Diabetes". NIDDK. February 2014. Archived from the original on 16 August 2016. Retrieved 31 July 2016. ^ "Type 1 Diabetes". WebMD. Retrieved 28 March 2018. ^ a b c Kordel, Rajesh (7 October 2004). "Akram bats for the cause of diabetes". Times of India. Retrieved 24 November 2017. ^ "Oklahoma TE Mark Andrews intends to enter 2018 NFL Draft". NFL.com. January 4, 2018. Retrieved August 20, 2018. ^ Hoskins, Mike (2 February 2016). "Teen Actress Brec Bassinger Talks Showbiz and Type 1 Diabetes". Healthline. Retrieved 16 November 2017. ^ Mullins, Christy (15 June 2007). "Tega Cay's Joseph Bass is D.C. bound". The Herald. Rock Hill, South Carolina. Retrieved 16 November 2017. ^ Vincent, Coralie (November 5, 2015). "Jean-Marie Bigard sur son diabète : "C'est un cadeau du bon Dieu"". CloserMag. Retrieved November 16, 2017. ^ Parker-Pope, Tara (September 20, 2010). "An Idol's Struggle with Type 1 Diabetes". The New York Times. Retrieved November 16, 2017. ^ a b Townsend, Brad (22 February 2009). "Diabetes doesn't slow Dallas Stars' Toby Petersen". The Dallas Morning News. Retrieved 28 March 2018. ^ "Miami Ink's Darren Brass: Tattoos and Diabetes". Diabetic Connect. Retrieved 16 November 2017. ^ "Diabétiquement vôtre - Bertrand Burgalat: "Mon diabète"". Paris Match (in French). 24 October 2015. Retrieved 16 November 2017. ^ "George Canyon to play free for people with Type 1 diabetes". Winnipeg Free Press. 23 April 2012. Retrieved 16 November 2017. ^ a b c d e f Klis, Mike (2 May 2008). "Jay Cutler diagnosed with diabetes". The Denver Post. Retrieved 16 November 2017. ^ a b Kemp, Rob (20 January 2016). "The athletes who have triumphed over type 1 diabetes". The Telegraph. Retrieved 5 November 2017. ^ "[Q&A] 'Nashville' Actor and Country Music Star Mark Collie". Wilson-Arkansas. 26 July 2016. Retrieved 22 December 2017. ^ Frei, Terry. (16 January 2009). "Crombeen's Denver ties aren't binding". The Denver Post. Retrieved 6 November 2017. ^ Gross, Jennifer (9 October 2002). "Explorer plans historic trip". The Valley News Dispatch. Retrieved 23 March 2018. ^ Sipple, George (22 May 2017). "Diabetes just another challenge for IndyCar driver Conor Daly". Detroit Free Press. Retrieved 21 December 2017. ^ Mitchell, Julian (16 August 2017). "Get Paid To Be Yourself: The Business Of Being Dame Dash". Forbes. Retrieved 22 March 2018. ^ Todd, Douglas (19 February 2012). "WEEKEND EXTRA: NDP Leader Adrian Dix unveiled". The Vancouver Sun. Retrieved 6 November 2017. ^ Macleod, Robert (14 January 2015). "Max Domi undaunted by diabetes: 'It's actually been a blessing in disguise'". The Globe and Mail. Retrieved 16 November 2017. ^ Hill, Jemele (12 February 2010). "Buster Douglas: the upset's other side". ESPN. Retrieved 24 October 2017. ^ Wise, Mike (21 June 1999). "Dudley's Crusade Is Battling Diabetes". The New York Times. Retrieved 16 November 2017. ^ "Magnus Eikrem wins long-term Man Utd contract". tribalfootball.com. Tribal Football. 24 October 2009. Archived from the original on 27 October 2009. Retrieved 20 October 2010. ^ Ellis, Albert (2004). Rational Emotive Behavior Therapy: It Works for Me - It Can Work for You. Prometheus Books. pp. 29, 122, 161–70. ISBN 978-1-615-92065-5. ^ Kelly, Jack (21 July 2010). "Olympic skier tells kids that diabetes isn't a handicap". The Pittsburgh Post-Gazette. Retrieved 26 December 2017. ^ Diaz, George (14 April 2006). "Bitter Sweet". The Orlando Sentinel. Retrieved 16 November 2017. ^ Lewnard, Joe (4 March 2008). "Diabetes won't hold back Cubs' outfield prospect". The Daily Herald. Retrieved 16 November 2017. ^ "Victor Garber Supports Young People Living with Type 1 Diabetes: 'You Can Live with It and Thrive'". People. 25 February 2016. Retrieved 29 March 2018. ^ Hammar, Peter (1994). "Memorial Tribute: Charles Ginsburg". Washington, D.C.: National Academies Press. p. 84. Archived from the original on September 28, 2018. Retrieved September 27, 2018. ^ Wallen, Doug (8 March 2006). "A Tale of Two Adams". Philadelphia Weekly. Archived from the original on 8 February 2013. Retrieved 22 March 2018. ^ Handley, Derek. "Devin Grayson Interview". Ugo. Archived from the original on 15 June 2011. ^ "Famous Faces of Type 1 Diabetes". Fox News. Retrieved 10 January 2017. ^ Polglaze, Emily (21 April 2016). "Groenewegen undeterred by diabetes". Minnesota Daily. Retrieved 24 October 2017. ^ "Top 5 Indian Celebrities Suffering From Diabetes And Their Fitness Routine". Modasta. 14 July 2016. Retrieved 15 January 2017. ^ "DIA čísla klamú: Zuzana Haasová o tom vie svoje. Cukrovku má 28 rokov". Pluska (in Slovak). 9 October 2016. Retrieved 28 March 2018. ^ Garvan, Sinead (23 July 2014). "Este's Glasto Shock Has Put Her Health First". BBC. Retrieved 16 November 2017. ^ Vinton, Nathaniel (6 July 2008). "Diabetic Olympian Gary Hall blasts dopers, while life depends on insulin". New York Daily News. Retrieved 16 November 2017. ^ Brooks, Allyson (1 May 2013). "Commentary: Diabetes couldn't block CdM grad from Olympic gold". The Daily Pilot. Retrieved 22 November 2017. ^ Bacon, Doris Klein (8 March 1982). "Diabetes Has Slowed Her Growth but Not Her Talent — Dana Hill Is Big Enough to Shoot the Moon". People. Retrieved 2 November 2017. ^ a b c Finley, Bill (6 July 2004). "Belt Pump Helps Pitcher With Diabetes". The New York Times. Retrieved 29 March 2018. ^ Platkin, Charles (16 August 2012). "Interview with Dan Hurley, Medical Journalist and Diabetes Advocate". Diet Detective. Retrieved 22 January 2017. ^ Irish, Natalie (30 April 2014). "'My disease and my art are both a part of me'". CNN. Retrieved 22 January 2017. ^ "Jeremy Smith". Diabetes Research Networking. National Health Service. Archived from the original (Video interview) on 25 July 2011. Retrieved 5 February 2010. ^ Starkman, Randy (18 July 2007). "Rower rises to the top - Diagnosed with diabetes at 13, Chris Jarvis battles the odds to claim gold in Pan Am pairs". The Toronto Star. Retrieved 28 December 2017. ^ Braun, Wendy (4 July 2009). "Nicole Johnson: Getting Real with Diabetes". The Saturday Evening Post. Retrieved 27 December 2017. ^ Falcone, Dana Rose (11 June 2015). "Nick Jonas on diabetes: 'It has an effect on my creative life'". Entertainment Weekly. Retrieved 27 December 2017. ^ Berrett, Nick (8 June 2010). "Wallaby runs with young Pumas". The Northern Times. Queensland. Archived from the original on 20 February 2011. Retrieved 22 March 2018. ^ Martin, Richard (26 March 2010). "Diabetes doesn't slow Indy race car driver Charlie Kimball". The St. Petersburg Times. Retrieved 27 March 2018. ^ "Kelli Kuehne talks about her LPGA Career & living with diabetes". Fox10TV (WALA-TV). 15 May 2013. Archived from the original on 24 June 2013. ^ "Wild rookie Luke Kunin talks T1D and Hockey". Juvenile Diabetes Research Fund (JDRF). 16 November 2017. Retrieved 28 March 2018. ^ Parkinson, Caroline (15 February 2014). "HG Wells: The first celebrity charity campaigner?". BBC. Retrieved 22 January 2017. ^ Feinberg, Scott (6 June 2014). "At Home With Jerry Lewis as He Opens Up About Son's Death, Skirmishes With Fans". The Hollywood Reporter. Retrieved 27 March 2018. ^ "X Factor's Amelia Lily 'petrified of blindness threat'". Metro.co.uk. 20 November 2011. Retrieved 27 December 2017. ^ "The One Show - Dominic Littlewood". BBC. Retrieved 22 November 2017. ^ a b c Millson, Larry (13 March 2010). "Jays pitchers Brandon Morrow and Dustin McGowan handle diabetes well". The Canadian Press. Retrieved 28 March 2018. ^ "Gary Mabbutt: Former Spurs and England defender has successful heart surgery". BBC. 6 June 2017. Retrieved 28 March 2018. ^ Slack, Zac; Trinh, Seu (9 January 2008). "Lewis Marnell Interview". Caught in the Crossfire. Division Media. Retrieved 24 January 2013. ^ "Home Secretary Theresa May diagnosed with Type 1 diabetes". BBC. 27 July 2013. Retrieved 17 November 2017. ^ Keevins, Hugh (23 December 2011). "Celtic legend Danny McGrain: I beat diabetes and so will Scotland kid Scott Allan". Daily Record. Retrieved 27 August 2013. ^ Slaughter, Adele (1 July 2002). "Bret Michaels rocks the diabetes world". USA Today. Retrieved 16 November 2017. ^ MacMillan, Amanda (2 January 2017). "Mary Tyler Moore Proved Living Well With Type 1 Diabetes Is Possible". ABC. Retrieved 17 November 2017. ^ Almond, Elliot (15 December 2014). "Stanford soccer star handles diabetes, faces decision to join Sounders". The Mercury News. Retrieved 28 August 2016. ^ Wahl, Grant (19 January 2004). "Counter Puncher". Sports Illustrated. Retrieved 28 March 2018. ^ Jack, Woodfield (7 March 2017). "Real Madrid footballer Nacho Fernandez was told type 1 diabetes would end his career". Diabetes.co.uk. Retrieved 29 January 2018. ^ Ross, Jonathan (30 January 2016). "Series 10 - Episode 4". The Jonathan Ross Show. Archived from the original on 2 February 2016. Retrieved 31 January 2016. ^ Andrews, Nigel (15 December 2013). "Peter O'Toole, actor, 1932-2013". Financial Times. Retrieved 22 January 2017. ^ Duff, Bob (19 August 2011). "NASCAR driver Paludo deals with diabetes". Windsor Star. Windsor, Ontario. Retrieved 28 March 2018. ^ a b Stark, Phyllis (11 August 2016). "Despite Challenges, RaeLynn, Eric Paslay and Other Stars Don't Let Type 1 Diabetes Limit Their Dreams". Billboard. Retrieved 29 November 2017. ^ Olson, Drew (21 February 2003). "Pember deals with diabetes". The Milwaukee Journal Sentinel,. p. 7C. ^ "Sanofi US and Actress Elizabeth Perkins Premiere Documentary - Diabetes Co-Stars Presents "Strength in Numbers"". Sanofi U.S. Newsire. 6 May 2013. Retrieved 5 January 2017. ^ Lawrence, Dave (29 April 2013). "Ryan Reed drives against diabetes". The Mechanicsville Local. Retrieved 28 March 2018. ^ Cowley, Michael (3 May 2012). "Giants and Reid hit the bull's-eye with diabetes initiative". The Sydney Morning Herald. Retrieved 28 March 2018. 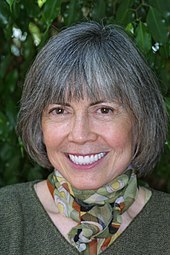 ^ "Anne Rice Says Diabetes Nearly Killed Her". ABC. 26 June 2004. Retrieved 9 May 2017. ^ "Original Rush Drummer John Rutsey Dies". Billboard. 11 May 2008. Retrieved 2 November 2017. ^ Tucker, Miriam (7 July 2014). "Hey, Miss Idaho, Is That An Insulin Pump On Your Bikini?". NPR. Retrieved 6 November 2017. ^ Kaplan-Mayer, Gabrielle (27 November 2006). "Kendall Simmons Tackles Diabetes". Diabetes Health. Retrieved 23 October 2017. ^ Bandler, Michael J. (10 May 1992). "Against The Odds". The Chicago Tribune. Retrieved 3 May 2017. ^ Watkins, Tom (27 May 2009). 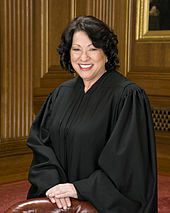 "Sotomayor's diabetes: 'She overcomes it every day'". CNN. Retrieved 28 March 2018. ^ O'Donnell, Erin. "Sam Talbot Shares Diabetes-Friendly Recipes". WebMD. Retrieved 27 March 2018. ^ Gomez, Patrick (1 June 2016). "The Surprising Way Baby Daddy's Derek Theler Conceals His Insulin Pump When He Goes Shirtless on TV". People. Retrieved 28 March 2018. ^ "'I was treated by the pioneers of insulin in 1930'". BBC News. 23 January 2012. Retrieved 29 March 2018. ^ Russo, Michael (22 June 2016). "NHL draft prospect Riley Tufte is the pride of Blaine". Star Tribune. Retrieved 28 March 2018. ^ "Meet Jim Turner". Students with Diabetes. Retrieved 6 January 2017. ^ "Wer? Wann? Was?". Darmstädter Echo (in German). 9 October 2011. p. 1. ^ Butler, Carolyn (1 December 2011). "Actor Stephen Wallem Puts Diabetes on TV". Diabetes Forecast. People. Retrieved 29 December 2016. ^ Taufen, Amber (26 March 2010). "Rage drummer Brad Wilk signs bottles of Olade this weekend". Westword. Retrieved 28 March 2018. ^ Fetters, K. Aleisha (8 October 2012). "15 Celebrities with Diabetes". Women's Health. Retrieved 6 January 2017. ^ Hutchison, Courtney (3 March 2010). "Elliott Yamin, Diabetics Face Medical Danger After Earthquake". ABC News. Retrieved 28 March 2018.